The University of Washington’s Honors Program offers the opportunity to explore the central component of the American criminal justice system: prison. Through the Honors Program, instructor Claudia Jensen’s course, “In Your Name: Education in Prison,” gives students the opportunity to collaborate with inmates at the Twin Rivers Unit at the Monroe Correctional Complex. We split our class into three groups, with each focusing on a particular issue revolving around the narrative of incarceration: education, aging, and virtual reality. 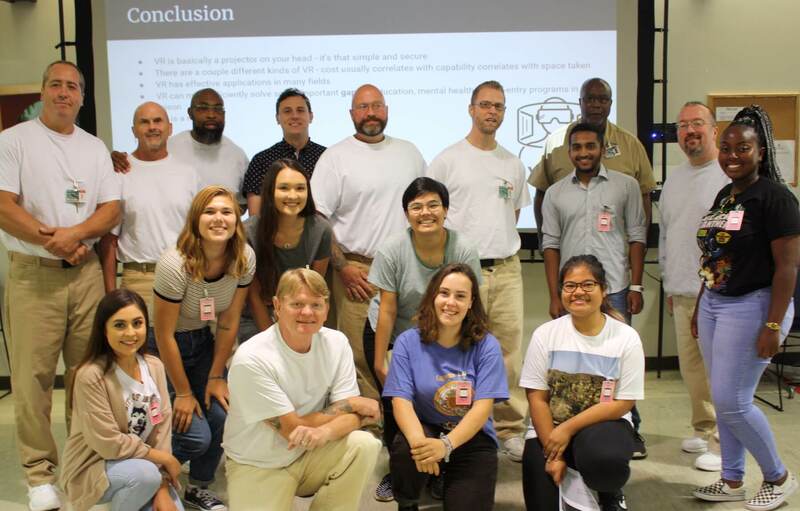 Click here to read student Anand Sekar’s story about the virtual reality (VR) project that UW students and inmates collaborated on, aimed at assisting released prisoners with reentry into society! Participating in this course is a life-changing experience, it draws one out of oneself, out of our comfort zones and our preconceived notions, and places us in a much larger context. By utilizing the narratives of empathy and interpersonal connection, we bridge the cultural differences between the free and the imprisoned. When interacting with these men and listening to their stories, the notion of incarceration becomes much more complex. It is, above all else, a humanizing experience. The outcome is the realization that although these are individuals that have committed egregious acts at one point in their life, they are nonetheless human beings possessing dignity and rehabilitative capacities.